Every country has its own facilities, specialties and hence, every country is unique in its culture, atmosphere, and education. Ukraine offers a wide variety of courses to choose from, such as arts, aviation, agriculture, accounting, aerospace engineering, Biochemistry, Biomedical engineering, Chemical engineering, computer science, Business & Economics, Electrical engineering, Journalism and communications, Law, MBA, MBBS, Nursing, Pharmacy, Zoology and a lot more such courses. Courses which are taught at the universities of Ukraine are recognized around the world. These universities and institutes have a very nice method of teaching and it concentrates on practical aspects of the subject along with the theoretical knowledge. To study at Ukraine, there is no IELTS or TOFEL is required. Ukraine is very beautiful in its nature. Most of the universities are big and broad in their infrastructure like they have libraries, gymnasium, sport centers, hostels etc. Students can get unlimited access to the internet and that too at a very low cost but they should make proper use of it. Students do not need to spend money on books as the books are provided by the university library. Students can also get a chance of permanent residence and settlement in Europe once they complete their study program. Study in Ukraine offers quality education as the Ranking of the universities in Ukraine is very high considering other international universities. Admission process in Ukraine is very simple. Because, no IELTS, or TOFEL or any other entrance exam is required. That is, students do not need to give any kind of entrance exam to secure admission to any course in the Ukraine to study in Ukraine. Courses which the universities in the Ukraine offer are globally recognized. They are recognized by WHO, UNESCO, European council etc. Hence, your diploma will be recognized worldwide and it will have a great value in the market. Medical courses in the Ukraine are most popular among international students. Hence, MBBS in Ukraine is a very famous course as it has a great market value. Students do not need to give any kind of scary entrance exams. The admission process is very easy and it is direct. If a student wishes to take an admission to a bachelor’s degree program then they need only their secondary school certificate. The fees for different courses in the Ukraine are very low as compared to other countries. Ukraine is the second largest country in Europe, hence, there are limited students in each class and personal attention will be given to each and every student. If you are looking for cheapest education then it is in Ukraine. Study in Ukraine offers cheapest education among all European countries. 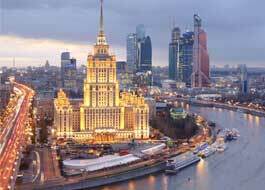 Students can enjoy European life standards and that too at low cost as Ukraine has low cost of living as compared to other European countries. The rough figure can be $100 to $200 per month which a student requires other than tuition fees , but this figure cannot be predicted exactly as it depends on student’s life style so it may vary from person to person. There is a moderate climate in Ukraine throughout the year and hence, students from different parts of the world can survive in this climate. When you study in Ukraine Teaching methodology focuses on practical knowledge too in addition to theoretical knowledge. Many universities in the Ukraine has partnership with USA, Canada and other universities in Europe, hence, students can get a chance to meet famous professors from all over the world at Ukraine with the same tuition fees. Universities at the Ukraine provide all the facilities like libraries, hostel facilities, sports centers, Gymnasium and many others. Chances of eligible candidates getting visa are 100%. One can get a chance of permanent residence and can settle in Europe after completing his/her study program. So, aren’t these reasons enough for you to start searching for some good course in Ukraine? MBBS in Ukraine is becoming more popular nowadays among students as getting admission to mbbs program in Ukraine is trouble free. Ukraine has many world class top universities which offer MBBS program in ukraine. Medicine in ukraine is well known for its global acceptance, affordable fee structure, and quality of education, hence more and more students are approaching towards MBBS in ukraine. After completing MBBS degree from Ukraine, students can apply for work in any part of the world. Student must be 17 years old and above and the maximum age can be 25 years. Minimum 50% in aggregate of PCB combined and also NEET qualification is required. As we have seen already that the fees for MBBS in Ukraine are much affordable as compared to other countries in the world offering MBBS. Also there are many universities in Ukraine with low tuition fees for MBBS. Though the fees are less, there is always a right balance maintained between theoretical and practical knowledge. 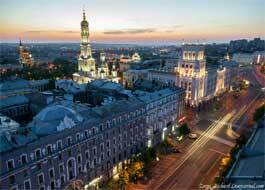 The best MBBS colleges in Ukraine have a fee structure of Rs. 17 to 21 Lacs for the entire progam duration of 6 years approximately. There is a huge demand of engineers in today’s world. The people who help in making of things which we utilize in our day to day life are known as ‘Engineers’. Creating quality engineers is a need of our future as they will need to take care of environmental changes while moving ahead with technology. The structure and teaching methods of engineering in Ukraine is highly advanced and modernized and this is also the reason why more students are approaching to engineering in Ukraine. In Ukraine, engineering is taught at regional as well as metropolitan level. Hence, the engineering courses are offered by both individual vocational providers as well as by Ukraine universities. This is a expanding field and there will be always need of skilled engineers and hence there are lot of excellent employment chances for engineers. There are many well known and famous universities in Ukraine which offer engineering courses in Ukraine. Engineering in Ukraine has lot of areas for specialization like Civil, Chemical, Software, Mechanical, Electronic and Automotive Engineering, along with Biomedical, Microelectronics and Telecommunications Engineering too. Engineering in Ukraine has comparatively lower fees than any other country. The degree of engineering in Ukraine has worldwide acceptance and chances of employment are better. Student must be minimum 17 years old and above and the maximum age should be not more than 30 years. Students should have passed 10+2 (Physics, Chemistry & Maths) from any recognized Board of India or abroad. Minimum 50% in aggregate of PCB combined. Engineering in Ukraine is much affordable compared to any other countries. The best engineering colleges in Ukraine have a fee structure of Rs. 15 to 20 Lacs approximately for the entire program duration of 4 years to 6 years. MBA in Ukraine courses can be at several universities or also in private universities and colleges. MBA and management course is one of the most practical kind of course. MBA in Ukraine has lot of interesting career opportunities. The working professionals who want to enhance their skills can go for MBA in Ukraine. MBA degree from Ukraine has a great value in the international market. MBA programs are best suitable for students who want to develop their career and want to move ahead in their career. You can Study MBA in Ukraine if you have Minimum 3 years of full time work experience. To study MBA program one should have a bachelor’s degree or an equivalent degree. MBA program in Ukraine requires international study or work experience. To go for MBA program in Ukraine one should have a valid TOFEL or IELTS score. The MBA programs are offered by the universities in Ukraine with low tuition fees. The total fees for the MBA program in Ukraine are in the range of 5 to 6 lakhs for the entire course duration including accommodation and other charges, which are very less as compared to the other countries. Instead of private sectors and institutions, economics degrees are being offered by the colleges and universities in Ukraine. Universities in the Ukraine are world famous in the field of economics. The fees of ‘Business and Economics’ courses is less at the universities of Ukraine than other major countries like UK, USA and Canada in the world and quality of education is best. Universities in the Ukraine are the best for business and economics. Universities in Ukraine keep on upgrading their syllabus according to international economic policies. If a student does his graduation or a degree from any university in the Ukraine then he will be recognized globally in the field of business and economics. To study Business and economics in Ukraine one should have a bachelor’s degree or students should have passed 10+2 from any recognized Board of India or abroad. To study Business and Economics in Ukraine one should have a valid TOFEL or IELTS score. The medium of instruction is English for the courses of Economics in most of the universities. The course duration is of 4 years for bachelor’s degree and 2 years for master’s degree. The fees for Bachelor’s degree course of 4 years is around 9 to 10 lacks for the entire course and the fees for Master’s degree program of 2 years is in between 4 to 5 lacks for the entire course. Creative arts courses are available from basic level to advanced diplomas. Lower qualifications are introductory courses while advanced courses are specialized courses. In the field of Arts, specializations range from acting, music, dance, animation, sound production and stage management etc. Private institutes as well as Ukrainian universities offer the creative arts courses. There are large number of career opportunities for this kind of creative arts courses. One can also work on freelance basis. There are many well known universities in Ukraine with low tuition fees which offer Arts courses. The fees for the arts courses in Ukraine are less as compared to other universities in the world. To study Arts in Ukraine one should have passed 10+2 from any recognized Board of India or abroad. To study Arts in Ukraine one may have a valid TOFEL or IELTS score. You may have to appear for an entrance exam for taking admission to the arts course at some universities which can be harder to clear. The arts and music courses or the other creative art courses are of the duration of 4 years at Bachelor level. The fees for complete course duration of 4 years is around 12 to 13 lacks at Kharkiv national university of arts. It is in the same range at the other universities too. Manufacturing of best air crafts in the world is done in the Ukraine. Hence, Ukraine is one of the best manufacturers in the world. Ukraine has most advanced aviation industry. Ukrainian aviation colleges provide advanced teaching methods and their staff is highly professional staff. Maximum number of best aviation schools are in Ukraine and they have very low tuition fees compared to others. Thus, for international students Ukraine has became the best place to study aviation. To study Aviation in Ukraine students should have passed 10+2 (Physics, Chemistry & Maths) from any recognized Board of India or abroad. Minimum 50% in aggregate of PCM combined. The fees for aviation courses differ within universities and as per the courses. Tuition fees for courses such as Aviation and Rocket Engineering, Aviation Transport, Automatization and,Computer-Integrated Technologies, Avionics and Aviation Transport etc. are between the range of 5 -7 lacks, whereas the fees at the flight school are in the range of 6-18 lacks per course.